The weather forecast calls for slightly warmer temps and little to no precipitation until early next week, so let’s take advantage of it! The streets should be clear, and you know your scooter is asking to be ridden. Meet at Orbit Room (Wellington/California) at 1:30pm Sunday 1/17, ride leaves at 2pm. Get there earlier if you want to eat. We will head up to Paradise Pup (1724 S River Rd, Des Plaines; #24 in Chicago Magazine’s 30 Best Burgers), planning to get there around 3pm. from Paradise Pup we will head down to Hala Kahiki (2834 River Rd, River Grove), planning to get there at 4-4:30pm. Please join us for any or all of it. All bikes welcome! Or just meet us for food and/or drinks; you know January is the best time for tiki drinks, anyway. Hope to see you there! I’ll try to make it, Hala Kahiki’s near my ‘hood and I haven’t been there in ages. Haven’t had a soccer post in a while, and this one involves soccer, booze, and a ridiculously large Chupa Chup, so it’s got 2SB written all over it. We’re not big Barcelona fans or anything, though we love their jerseys for various reasons. We also generally dislike Argentinean soccer stars. But hey, this Messi character scored the second Champions’ League final goal against stupid Man United and tried to copulate with a lollipop, so he’s allright. …but please, not at the same time. 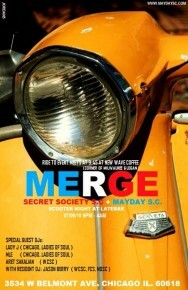 Kris is giving away customized orange Vespa S 50s around the U.S.
2SB/CWC Spring Party, Sat, April 11! I’ll be honest with you here, this is not the BBQ that made Galewood famous, but it’s a neat, old-school place with plenty of space for us, and if you forget about real BBQ, it’s pretty good in the way that Taco Bell is good if you forget about real Mexican food. And they have fried Macaroni and Cheese wedges. Bonus! An 80-car-long freight train *will* hold up the ride at some point. Jason and Mary emcee the best Karaoke around, with a great variety of songs. We’re talking New Wave, Punk, Mod, British Invasion, and even some indie rock, plus all the usual karaoke cheese. No cover! Cheap drinks! Friends! Fun! Malört! Peeptinis! Then! Ride! Straight to your place of worship and sleep next to your scooter in the parking lot, because it’s EASTER! Author illnoisePosted on 16.03.09 11.04.09 Categories Chicago, Cold Weather, Drinking and Eating, Rallies and Rides1 Comment on 2SB/CWC Spring Party, Sat, April 11! The Cold Weather Challenge has ended for another year, even though it’s 18°F and snowing here in Chicago right now and Spring is nowhere in sight. Congratulations to the winners: First prize goes to Bob “Scootervillan” Hedstrom who rode over 10 miles on a 2007 Vectrix at -16°F in Minneapolis, MN on January 15. Bob’s our first winner on an electric scooter, and he’ll keep the title in Minnesota for yet another year. Runner-ups are Tom S. in Omaha (-11°, Yamaha Zuma 50 ) and Colin Doyle in Collegeville, MN (-10°F, Honda Ruckus 50). Every morning when I ride my scooter to work, I look over at the fellow trapped in his car and am admittedly jealous that they can have their coffee at the stoplight, all the while I cannot. Like most problems we come up against here at Corazzo we had to find a better solution than coffee-envy and patience. Corazzo Design is pleased to introduce the revolutionary Corazzo Coffee Jacket, the perfect solution for the Scooter Commuter that wants to have their coffee on the way to work. Using an original design (patent pending) born from necessity, the self leveling, automatically gimbaled Corazzo Coffee Jacket is constructed of the highest quality insulated softshell, keeping your coffee even warmer than it would be otherwise. In the days before the Corazzo Coffee Jacket, a scooter commuter might put their coffee in their glovebox, a viable solution sure, but will it cause a mess, absolutely. Our solution gets around many problems with one well thought out solution. Our insulated softshell stretches, making it perfect to fit a variety of coffee cup shapes and sizes. As well, the fabric is teflon coated, so it should stay stain free for a long time. 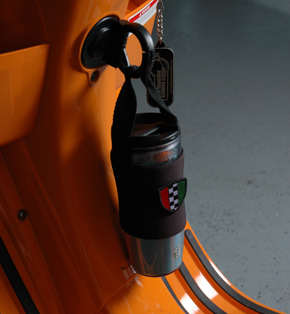 The strap will fit on the bag hook of nearly every single scooter out there, and allows you to drink your coffee without removing the jacket. Another real bonus comes when you have a full armload of stuff, that once unstrapped from your rear rack, will prevent you from carrying anything else…BUT WAIT…STOP THE PRESSES…with the Corazzo Coffee jacket, all you need is a pinky, and you can carry your coffee too. This is one handy accessory! (More photos here, YouTube demo video to come later today!) Thanks for the scoop, Bradford. We’re not coffee drinkers here at 2SB but Bradford assures us it will also competently hold a 20oz RC Cola, so we’re on the waiting list. As possibly the first (unofficial) U.S. Chupa Chups evangelist and a well-known lollypop fan, allow me to be the first American to mock the NZI Chupa Chups Kiss Me Lollipop helmet. I hate to put down a helmet that’s stepping outside the Troy-Lee-90s-lame-tribal-graphics mold, but not even Jorge Lorenzo would wear that one. Slaughterhouse is once again, almost upon us, and for the first time since Slaughterhouse 1, I had nothing to do with planning it. If you’re in the rally mood early (very early), come to Motoworks at 7am Thursday for a live gymkhana telecast on FOX News Chicago, who will be the first television news outlet to cover Slaughterhouse before it happens, which makes a lot more sense than running a story afterwards, when you think about it. Here’s some video of last year’s gymkhana for reference. Thursday night, the official Slaughterhouse party is Delilah’s 15th anniversary party* with DJ Chuck Wren of Jump Up! Records, or check out The Organization’s “Hard Mod” night at Holiday Club**. * Oh, Crash Palace, how I still miss you, but Delilah’s has certainly grown on me, especially after Mike let me DJ once, back when he was desperate for customers, an unforgettable night when some wag asked me “Do you have anything good?” Sure, I brought a dude nearly to tears by playing the long version of Throwing Muses’ “Soul Soldier,” so you win some and you lose some. Anyway, congrats on 15 years Mike and Delilahs, and good luck with the new Bottom Lounge, which I haven’t checked out yet but it sounds like a great venue. ** Once at Holiday (well, at the old location, ten years ago, ha) a waitress snidely refused to take my friend’s ten dimes as a tip on a $1.50 glass of soda. 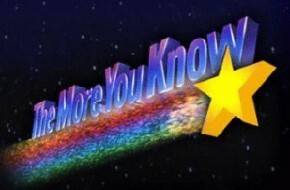 Sure, he may have been short on paper currency at the moment, but a 66% tip is is a 66% tip. I liked the DJs (Kristine DJed my wedding!) and some of my friends were bartenders there, but that was lame and I kinda stopped going there after that. UPDATE! Ryan will be shuttling people (on his BV200) between the two bars for the low price of one british pound sterling. Phil has offered a rival service priced at 15oz of any liquid. That name again is Mr. Plow. Oh, almost forgot, the subject of my Googlestalking yesterday was the organizer of a scooter tour of the Michigan wine country on September 13-14, 2008. As I suspected from the handsome site and the Brookfield meet-up location, it’s Alana, an old friend I haven’t seen around in a while. 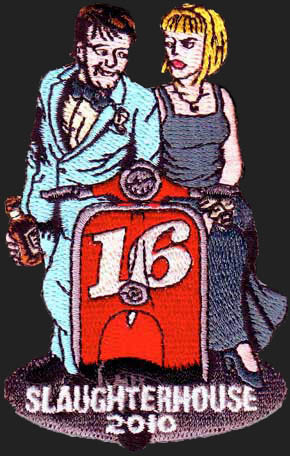 The ride sounds great, hopefully 2sb will be there, at least for the drinking and ferrying part.